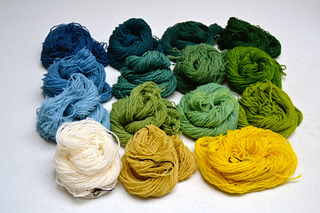 Fenris is a two-ply wool (450 m/100 g) spun in the North of Denmark. It is strong but soft, and fans of Shetland-type yarns will love this one. 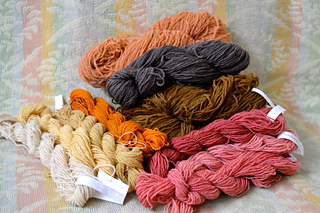 Available in undyed and naturally dyed. Hand wash in lukewarm water with wool detergent, block or lay flat to dry.